Our musical theatre classes provide training in all three disciplines, acting, dancing and singing, developing skills as a ‘triple threat performer’. Students will experience the fun and joy of musical theatre classics and performing to family and friends at the end of the session. 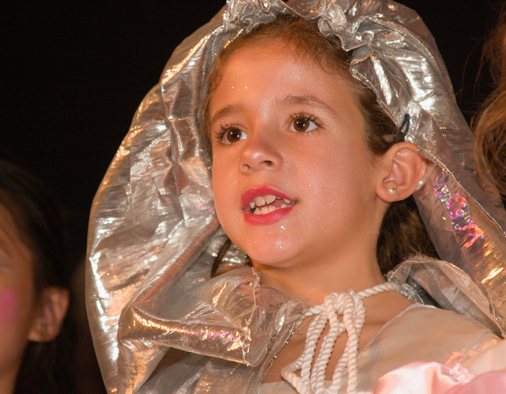 Students are given a practical understanding of stagecraft, along with improvisation, voice and acting techniques. They will be challenged to create multi-dimensional characters, building confidence and social skills through teamwork while honing their acting skills. STUDENTS MUST BE ABLE TO READ. These sessions concentrate on developing students’ confidence, awareness and freedom of expression, whilst improving technical dance skills. Students will be exposed to a variety of dance styles and will learn routines to well-known songs. Vocal training is utilized to develop each individual’s voice to its fullest potential. 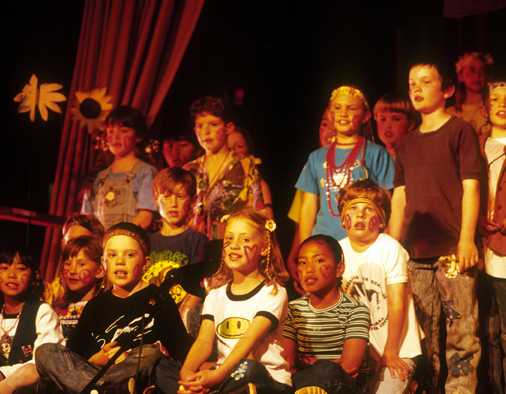 Students work on breathing, rhythm, projection, pitch and musical interpretation to improve confidence and range and learn how to genuinely express emotion and tell a story through song. 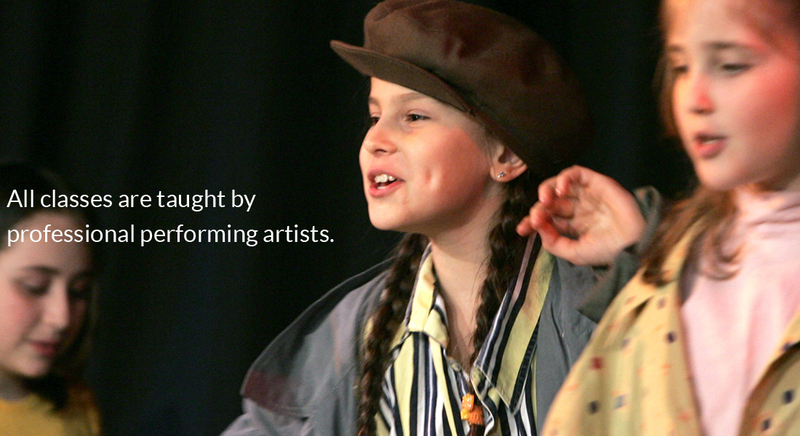 Students will continue to be challenged to create multi-dimensional characters, building confidence and social skills through teamwork while honing their acting skills. This class includes theatre games, improvisation, acting exercises, voice development and scene study. 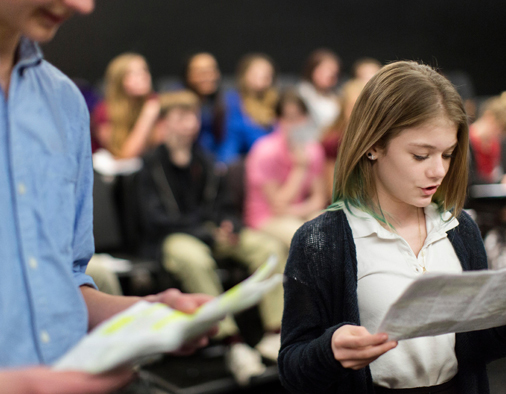 Students will be working on scenes from plays, musicals, films and current TV shows, learning basic script analysis and character creation and development. Students will start with a movement warm up and, through exercises, build on their technique which will enhance their performance skills and boost their confidence. Students will not only gain physical confidence, awareness and freedom of expression through the dance training but will also get to explore a range of dancing styles and techniques while learning routines to well known songs. Vocal training is utilized to develop each individual’s voice to its fullest potential. Students will work on the technicalities of using their voice including pitch, breath, harmony as well as how to genuinely express emotion through song. They will be working on solo, duet and group songs.